I found this short article about a small russian village. What I can't seem to figure out is whether these people are old believers or not. On one of the pictures, it seems like that one of the boys are crossing himself with three fingers, but I'm not sure. Well, I'll open the can of worms. Up until the 1600's the EO church widely used only two fingers to cross themselves. There was a schism in the mid 1600's. This fully apostolic group crosses themselves with two fingers. How many fingers do Anabaptist use? Nothing like the contribution of someone who isn't even Orthodox. No, they aren't fully apostolic, and those groups which haven't reunited with the MP don't even have Priests or Bishops. They are schismatics. There are some Old Believers in communion with worldwide Orthodoxy, but there are still a lot of schismatic groups out there. Also, the way of crossing oneself has varied throughout Christian history and we aren't restorationists. All forms of crossing oneself are valid, but the common practice of today is to use three fingers and from right to left. I'll say what I've said before, the schismatic Old Believers are nothing more than "Orthodox" pharisees. They have turned some things about the Christian faith into virtual idols, and treat tradition as though they were Pharisaic Jews adhering to the Law of Moses in the First Century. Now now, I think you are being a little difficult on the Old Believers. I admit, I am no expert on the subject, but, it is a fact that Russians had been crossing themselves with two fingers for a VERY long time until some Greek guy (can't remember his name) came along and made a ton of unnecessary reforms and forced them to adopt the Greek three-fingered model of crossing yourself. The reforms were introduced by Patriarch Nikon, who was Russian not Greek. He was trying to bring the practices in Russia into line with those in Greece, but he certainly wasn't Greek. The Greek Patriarchs actually warned Patriarch Nikon not to make the reforms matters of dogma and a cause for division. If only he had listened. Can anybody see if they are crossing themselves with three or two fingers? I don't think Patriarch Nikon was the one who made it a matter of division, the Old Believers were the ones who split off unnecessarily. I'm not being hard on them because little individual traditions of how to do things aren't matters to schism over. Just because something is more "ancient" doesn't mean we should drop everything and go back to it. Just because something is more "ancient" doesn't mean we should drop everything and go back to it. That was exactly what Patriarch Nikon's error was. He assumed Greek books and practice to be more ancient, and therefore declared that the entire Russian Church should drop everything and go back to them. And that was also exactly what the Old Believer's error was. They believed their older "traditions" were worth splitting off. Both were wrong, this isn't a good vs. evil, right vs. wrong issue. Both Patriarch Nikon and the Old Believers were wrong. I don't think Fr Avvakum Petrov saw it that way. You're point? As far as I am aware, he's not an EO Saint, even if he is one amongst the Old Believers. Even if he was, the opinion of one Saint doesn't become law. If you all are so favorable towards the Old Believers, why don't you become one and enter schism with worldwide Orthodoxy and therefore separate yourself from God himself? They are nothing more than "Orthodox" Pharisees. The few groups that are in communion with the MP are okay, but the rest of them that remain in schism are not justified and are, as I've said many times, pharisees and idolaters of what they call "holy tradition". A wise priest once said, the church always persecutes her saints. There are many examples of this from St. Nicholas of Myra all the way down to St. Justin Popovic ( who's grave site still resides outside the church grounds, although that is being fixed as we speak). simplygermain, those are saints in our church. Fr. Avvakum has been dead for over 300 years and, as far as I know, has never been canonized by the canonical Orthodox Church. St. Justin was canonized just 31 years after his death, and St. Nicholas was probably canonized not too long after his death in 343 AD. Like I said, if you love the schismatic Old Believers so much, why don't you join them? No matter how much dancing around you do, they are still heterodox and are still schismatics. We Orthodox aren't restorationists and it doesn't matter if their practices are "older", they aren't justified, no matter how much they've suffered. Everyone has suffered, and the Orthodox Church has persecuted many people throughout history who were heterodox, heretics, apostates or pagans. Just because people in our Church have persecuted them doesn't mean jack. IMO, this is one of most tragic events in the history of the Orthodox Church. I am providing some links but I caution everyone that there are many interpretations of this tragedy. In any case, it looks like the ROC has rescinded the old anathemas and recognizes the Old Believers as a valid part of the Church. I do not see why folks outside Russia should keep on reopening old wounds. You aren't entirely correct. They've recognized that Patriarch Nikon was wrong. However there are Old Believers out there who are not a valid part of the church and willingly remain in schism. There are also other Old Believers who have reunited with the Moscow Patriarchate, and they are okay and are canonical. Like I said, nothing ever justifies willing schism from the one and only true Church of Christ. Is that holiness sometimes resides outside the church. Try to keep in mind that he was burned at the stake for rejecting innovations which even now in the MP are not pushed as dogma. As far as I am aware, he's not an EO Saint, even if he is one amongst the Old Believers. Even if he was, the opinion of one Saint doesn't become law. Devin, please do calm down your rhetoric. You are treating them as though the schismatic groups are somehow justified in their schism. No matter how "orthodox" they are, and no matter how "holy" they are, doesn't mean they are justified. I'm sure there were many heretics who were honest in their faith and who suffered torture and persecution at the hands of the Roman Empire (or even the Russian Empire). Just because they were particularly moral or suffered persecution doesn't many anything. If being moral and suffering persecution were grounds for being "orthodox" and "holy" or justified in their views, then every other group out there from the Jews & Muslims to the Hindus and Buddhists would be "justified" and "holy". There remains a problem with the priestlesss Bespopovtsy, who are somewhat Protestants with icons (and in some ways even worse in that than Episcopalians), but the priestly Popovtsy is a different story, some already reconciled over two centuries ago to the Russian Patriarchate. and have similar canonical problems. I agree with Solzhenitsin, that the Bolshevik Yoke was divine pay back for the treatment of the Old Ritualists. 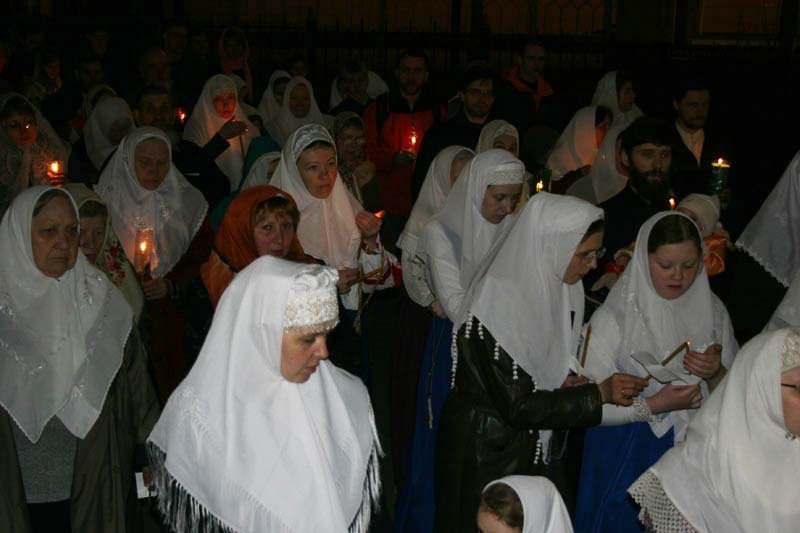 What people must understand, is that even while the Old Believers have been found "okay" in the eyes of Moscow, there are some groups who have willingly re-entered the Holy Orthodox Church by way of Moscow (or ROCOR). However, there are also some groups who have willingly remained in schism with the Orthodox Church. In fact, a very large portion of the Old Believer community has remained at schism with worldwide Orthodoxy. So despite the rescinding of the anathemas against them, because they willingly remain in schism, they are to be regarded as schismatics by Eastern Orthodox Christians. If you refer to Carl's links, you'll see that there are only about 1-10 million Old Believers throughout the world. Out of that number, they are all members of various Old Believer groups. Of those groups, only two really treat each other respectfully and the rest barely even acknowledge that each other exists. Also, if you refer to Carl's links, the Old Believers aren't even united in their views. The Old Believers lack Priests and Bishops (and therefore, apostolic succession) because only 1 Bishop followed the Old Believers in their schism (and that Bishop was executed). You have the Popovtsy branch of Old Believers, who have Priests. They accept the Russian Priests who convert to their sects. The other main reason they still have Priests is due to their acceptance of a deposed Greek Bishop in the 19th Century and that Bishop consecrated several Priests as Bishops. This group is called the Belokrinitskaya hierarchy, which isn't universally recognized amongst Old Believers. There were groups other than the Belokrinitskaya hierarchy, but several of them are now extinct. This is the only Old Believer group which has Priests and has Bishops. However, going by Orthodox ecclesiology, according to Eastern Orthodox tradition, they do not have apostolic succession because their Priests & Bishops were ordained by a Bishop who had been defrocked in the Greek Church (and thus his right to succession and to ordain was lost). You also have the Bespopovtsy of Old Believers who don't have any Priests or Bishops. This group believes that the "true Church" no longer exists and therefore they reject all Priests and all sacraments except for Baptism. Therefore, this group has no eucharist (and for the most part, no marriage). 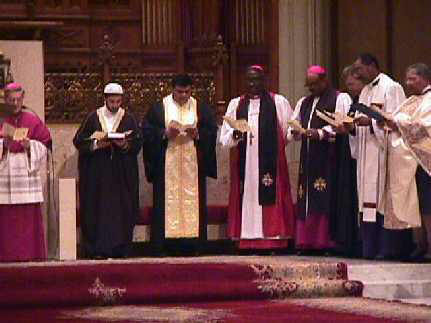 The canonical group, the group which has entered communion with worldwide Orthodoxy is referred to as Edinovertsy. The main groups, Russian Orthodox Old-Rite Church (Belokrinitskaya), Lipovan Orthodox Old-Rite Church (Belokrinitskaya), Russian Old-Orthodox Church (Novozybkov Hierarchy) and Pomorian Old-Orthodox Church (Bespopovtsy) are not in communion with worldwide Orthodoxy and are not considered canonical by Eastern Orthodox. They are regarded, by Moscow and by Eastern Orthodox Christians as schismatic. It should be noted that as far as I'm aware, the Edinovertsy, the Old Believers who re-entered communion with the MP, do not form an individual church within the MP, but rather are integrated into the MP. The Old Rite isn't wrong, and to practice it as a different rite isn't wrong. What is wrong, is entering and maintaining schism over it. As I said earlier in this discussion, the groups which remain separated from Moscow are regarded as schismatic, and they form (as far as we can tell) the majority of Old Believers out there. It also may have been divine paypack for westernization and for toying with the occult by the Royal Family. Not to mention all the sects that evolved from them. They don't cross themselves. They do not believe that crossing themselves increases their faith, good works, following god's will, or their dedication to Christ. Devin it does not matter if I'm a practicing Orthodox Christian at the moment. I am sorting things out. I've been Orthodox most of my life. But you are not correct, as the Old believers have full apostolic succession thus making them an apostolic group. Being member of "world Orthodoxy" is not what makes a church 'apostolic' unless you are prepared to speak against: HOTCA, HOCNA, Milans, etc. Old believers have their full group of bishops, with full succession, that merely split. From their viewpoint it is WORLD Orthodoxy that is not doing something right. It's not fair to call all of these groups non-apostolic, when their roots and fundamental beliefs are extremely close. In my Orthodox Viewpoint, my beliefs are that of the Old Believers and very similar to HOTCA. The group mentioned in the documentary you posted is the priestless one. Make up your mind whether you are interested in theology of long beards and fancy clothes. No, they have no apostolic succession. In Orthodox Christianity, you lose your apostolic succession once you begin teaching heresy and/or once you split from the church. Therefore, All those groups you cite, according to Eastern Orthodox Christianity, do not have valid apostolic succession. It doesn't matter if you've spent your life as Orthodox. You aren't one now and therefore cannot speak to what Orthodoxy is or isn't. There are many with priests. Video was an example. Not seen fancier clothes than that on a EO bishop.... Just food for thought. The Anabaptists (along with some of the people in the video, and pious Orthodox, and monastic Orthodox) dress this way for modesty, and being plain. They don't want to be in competition with their neighbors or brothers in Christ by "costly array". Of what? Funny clothes and beards? Do you consider converting to Sikhism too? Or Orthodox Judaism? Hinduism? Islam? They all have funny clothes and beards since it alongside old-fashioned clothes is the most important factor in theology for you. I'm pretty sure there are very nice films about them on the Internet too. Devin, I know its an ah ha point you like to make that I am not a practicing Orthodox Christian.... I get it. I spoke to a fact of what the Orthodox FAITH PRACTICED. It's a fact. Pre 1600 they used TWO fingers to cross themselves. How long have you been a practicing Orthodox? I have about 32 years. I've been to Mt. Athos, attended St. Vlad's seminary in New York, my "father" (like as in my dad) was a priest in the OCA and ROCOR. I've seen tons of monasteries and believe I can speak to many of the things I've learned as an Orthodox Christian. My family frequented the supper table with Alexander Schmemann (Fr. Schmemann from the OCA) in the early 80's. I was baptized under Bishop Dmitri in the 70's. If you believe "schismatic" groups who BREAK (not split) from the bishops for reasons of what they believe is heresy ruins their succession, there are ones who'd highly disagree with you. Even the administrator of this forum is in HOTCA, one such "break away" group. By the way, they didn't BREAK, they "continued" without heresies the other bishops practiced. You need to look at the reasons for schism rather than just say "because several bishops left and joined together, they aren't succession any more". Perhaps you should wonder why an Orthodox Patriarch practices liturgy with Roman Catholic clergy present and honored in their churches (fully vested). It may make your head spin, but some Eastern Orthodox bishops DO NOT approve of this and decide to continue without that Patriarch or the Bishops under that Patriarch. We aren't talking about rogue priests here, we are talking about fully ordained bishops that together decide to not participate in communion with other bishops who are practicing something they disagree with. Please don't be insulted though if I answer questions about Orthodoxy. I'm just trying to help others. I don't know where I am in my faith, or if I will return to Orthodoxy. I don't know if you can imagine the hurt I've been through in the EO church. I invested my entire life and understanding into something, just to have it CRUSHED by the WCC and ecumenism... It hurts where it counts in the worst places. Met a very wonderful, kind, and faith filled Mennonite woman, and I married her. They are strong people of faith. Incredibly similar to Orthodox in some ways, yet, not Orthodox. But their faith I would not question for a second. Perhaps they don't have so much mysticism in their church, but their beliefs are not hokey at all. They LIVE by their faith. Their lives embedded in it. So please brother... I will have questions that will upset you. They bother me too. I do try to help others though. Somebody simply asked about 2 vs. 3 fingers, so I answered. I'll admit it, I'm considering joining a schismatic group because I cannot accept the heresy of ecumenism. Do you got any feedback yeshuasim? It doesn't matter, nothing justifies schism. It is schism. Also, if you would actually read about the Old Believers you'd learn that they had no Bishops and their Priests were dead or dying off. The only reason there are some Old Believer groups with Bishops and Priests is because they accepted a Greek Bishop who had been defrocked (therefore completely losing his succession and everything in the EO Church). Anything that defrocked Greek Bishop did after he was deposed is irrelevant because he did not have the ability to create Bishops or Priests. However, the Old Believers allowed him to do so, and so all their Priests & Bishops aren't canonically ordained and don't have apostolic succession. As for how it was before the schism, it doesn't matter! You don't understand that it doesn't matter how they did it in ancient times. We aren't restorationists and we never will be. So what if they used two fingers before? The early church used their thumb on their forehead! Should we go back to that as well? No. It doesn't matter what the more ancient practice is. In fact, the Orthodox faith is not founded upon traditions and traditions don't ever justify schism. As for ecumenism, nothing the EP or any others have done can be considered Ecumenism. If they were to seek reunion immediately and if they were to encourage inter-communion or concelebrate with heretical clergy, then that would be Ecumenism. However, that is not something the EP has done..
Oh and yeshuaism, yes, I am saying the HOTCA is non-canonical and is in schism. That is what every single other EO Christian believes. Just because you don't or didn't doesn't mean jack. Yes, I know that the admin here is a member of a non-canonical group. Does that mean I have to automatically accept that group? No. In fact, I made friends with an Old Calendarist over in Greece. I respectfully declined all his invitations to attend services because his church was in schism and I would not be able to receive communion there. In fact, I attended the very parish that he was telling me was so "Ecumenist" and heretical. I spoke to other Orthodox in the town, and they reinforced what I believed, that his group was overreacting and that church was not Ecumenist, and in fact, that group actually assaulted and whipped the Bishop for being an "Ecumenist". Like I said, nothing justifies schism, and you really need to read about something before you speak about it. It doesn't matter if you were once Orthodox or even if you were currently Orthodox, your view are not in conformity with Orthodox Christianity and your views about apostolic succession and "canonical" status are certainly not in conformity with Orthodoxy. That's sad. I really hope to God that you aren't considering that and it is just a joke. Okay, there are many priests in the Old believer Eastern Orthodox Church. 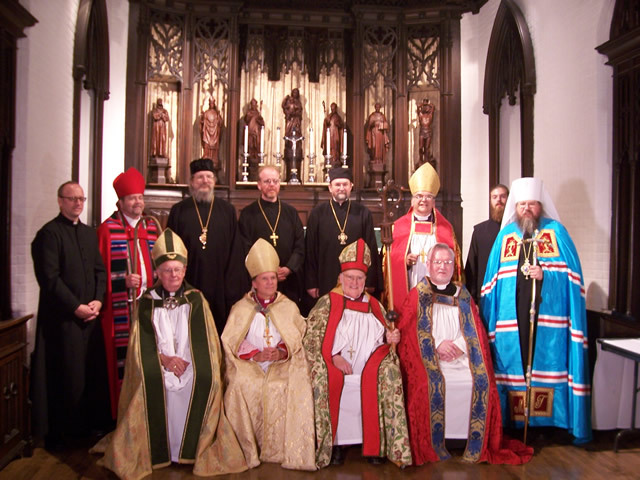 Many bishops in the Old believer Eastern Orthodox church. I don't know where this turned into a "funny clothes" thread. There is a difference between "old fashioned" and "plain". If this is an attack on the Anabaptists, they wear plain clothes, beards, and head coverings for the same reasons that monks & nuns do in the Eastern Orthodox church. The difference is a hard truth - most lay people of the EO church do not follow the scriptures, and go ahead and wear costly array - even to church. Many women in EO do not practice covering their heads during prayer either. (many DO, many don't). Our scriptures command us to dress modestly, not in costly array, women to cover their heads, and not wearing gold. Typical Orthodox Church "here": Please note the scriptures and if the lay people are following them. The old believer ORTHODOX practice this. It's not about the "funny clothes", it's about following the scriptures, not exploiting sweat shops overseas by buying "made in China, Vietnam, etc." clothing. I believe the Old Believer Eastern Orthodox church is really following the scriptures. It's not about funny clothes. They dress modestly, women cover their heads, most men are in beards. Well first you'd have to stop saying "Schismatic" because its actually derogatory in ways. In America, I would seek a HOTCA church as they hold much tradition to Orthodoxy. Would you rather him worship here? Who are you to say "most laypeople in the Orthodox Church do not follow the Scriptures"? Now from my example, WHERE am I wrong? Are the women covering their heads? Are they dressed modestly? NOT entirely. Even icons of the Theotokos and Female Saints they are dressed modestly & their heads covered. This isn't an argument. This is me getting vented on. I am a human being capable of logic. They are not following the scriptures in that example. In the OCA I witnessed at least 70% of the church dressed this way. It is not part of the commands of the scriptures. In ROCOR, it was much more following the scriptures. I don't see what your point is. Metropolitan Jonah never concelebrated with Roman Catholics. You're stupid if you think he did. "ecumenism' is a great and wonderful thing. "Ecumenism" is a heresy. Brotherly dialogue, discussion and meetings are a wonderful thing and isn't a heresy. Inter-Communion, Concelebration and seeking reunion before theological unity is a heresy. No major Orthodox figure in the present has committed the latter. Therefore, none are guilty of ecumenism. Who are you to accuse them of Ecumenism anyway? You have no right to do so. Would you please quote me where I said that? I thought the word I said was "many". Please do not plug words into my fingers. You're an idiot if you think those are important parts of the faith. In fact, you are just like many Old Believers, you are absolutely idolizing small-t "traditions" and putting them up to the level of theology and doctrine. Who CARES if women don't cover their heads, who cares if we cross ourselves with three fingers? It doesn't matter! I do have a right to say so. It's the reason I am not a practicing Eastern Orthodox Christian right now. Twice now I've been asked "who am I". Well, I'm a guy with a lot of EO history that left the church because I believed it to be practicing heresy and live mega far from HOTCA & Old believers.